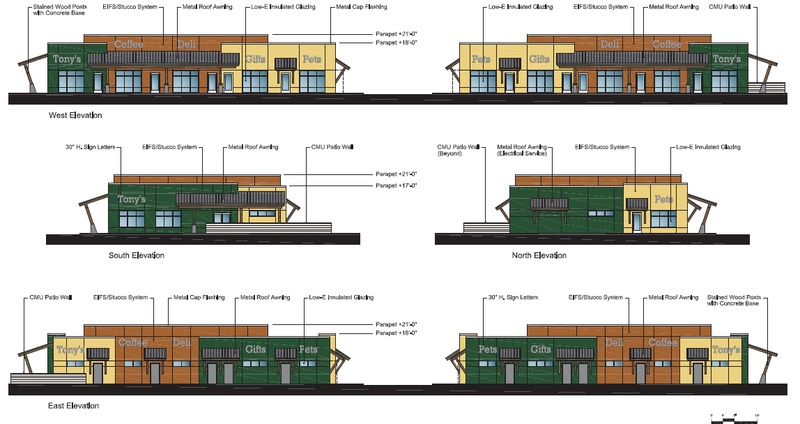 Some ArrowCreek owners may recall the words “Second Non-Residential Commercial Center/Area” from the ArrowCreek Planning Documents. With all the land parcel switching over the years back and forth between the county, trust and various land owners in ArrowCreek, some people think the “Second Non-Residential Commercial Center” ended up outside ArrowCreek boundaries – like the Arrowcreek Park parcel(s) and [Hunsberger and Sage Ridge] school parcel(s). Oh, and the “First Non-Residential Commercial Area” is the golf course land. 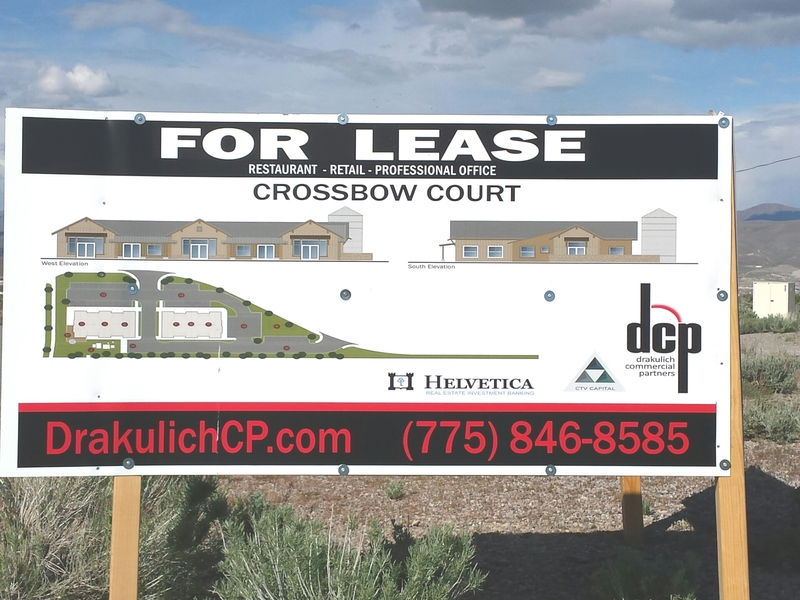 Whatever….the wording came back when I was reading SB14-013 The Crossbow Neighborhood Commercial Center application for the land across the street from Hunsberger Elementary School outside of ArrowCreek. I was curious when I saw the sign go up, get blown down and put back up on the corner of Crossbow Court and ArrowCreek Parkway. So I googled for information about the project. The Board of Adjustment Report, from Aug 7, 2014, contains application and conceptual drawing updates; emails, letters and petitions for/against the center; and comments from the July 7, 2014, and July 23, 2014, Citizens Advisory Boards (CAB). Next step is the Design Review Committee (DRC). That date was 10/8/15. There is a DRC report but there is no recommendation that I could find in the report. There is no recommendation recorded on the Washoe County Applications Page for District Two either. Does it need to come before the Design Review Committee again? the visual outcome was a sign on the corner…..what’s next? 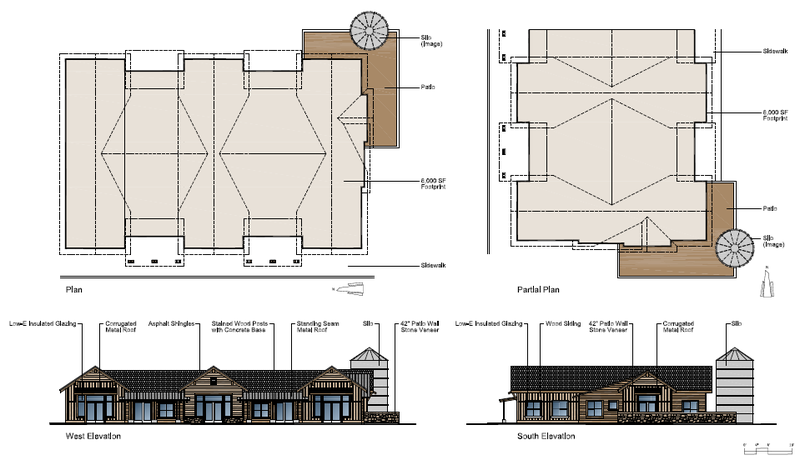 This entry was posted in ArrowCreek, ArrowCreek 411, ArrowCreek411, The Crossbow Neighborhood Commercial Center and tagged ArrowCreek, ArrowCreek 411, ArrowCreek411, The Crossbow Neighborhood Commercial Center. Bookmark the permalink.